The nervous system (mind). How we organise our thoughts through our senses. The language we use to communicate with ourselves and others, through which our neural representations are coded, ordered and given meaning. This includes: pictures, sounds, feelings, tastes, smells and words (self-talk). The way we organise our ideas and actions to produce results. NLP is like being given the handbook of your brain. I call it the software for the mind, your own computer programme. 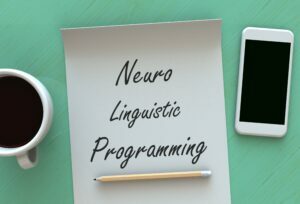 NLP is an attitude and a methodology, a set of techniques, which leads to quintessence quality of your life. It is the study of excellence, providing and enabling you to intertwine magic in all areas of your life. NLP can assist you to develop and maintain a high level of motivation for achieving your goals, and can help convert barriers and obstacles to open the paths and doorways to success and empowerment. You can eliminate unwanted habits, transform negative emotions into positive feelings, improve the way you see yourself, enhance your self-esteem and become the person you have always dreamt of being. Everything you experience is created twice – first in your mind and then in reality. The experiences you create are representative of your internal state, the way you think and the feelings that your thoughts generate. How NLP Coaching Can Help You? Life is what you make of it, you hold the pen in your hands thus you are the creator of your future, and NLP gives you the tools to make something amazing. Do you want to perform better at work and climb the ladder of success? Do you want to create better relationships? Become fulfilled as a person? Do you want to achieve everything you desire? NLP will help in all of these areas of life. Time Line Therapy® is a Powerful therapeutic process that has evolved from Hypnosis and NLP, developed by Tad James, Ph.D. It was developed by applying a therapeutic process to the concept that we store our memories in a linear manner in an internal memory storage system. Letting go of Negative Emotions from the past. Letting go of Limiting Decisions from the past. Creating our future the way we want it! These are the three major techniques that comprise Time Line Therapy®, they are easy to do and make a significant change in a person’s life. 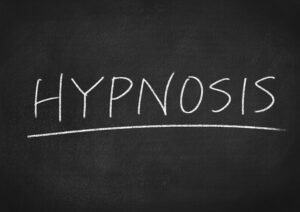 Hypnosis is a form of complementary therapy that utilises the power of positive suggestions to bring about unconscious change to our thoughts, feelings and behaviour. The process itself aims to alter our state of consciousness in a way that relaxes the conscious part of the mind while simultaneously stimulating and focussing the unconscious part. This is a heightened state of awareness – reached using skilled relaxation techniques. 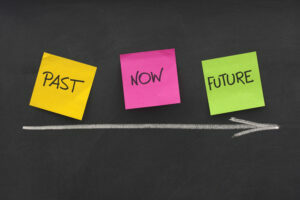 Whether you choose to take on Coaching, Training or Both with Evolving Partnerships, when you put all of the NLP techniques together, along with Time Line Therapy® and Hypnosis, this means you have the most incredible tools for Self-Empowerment, Success, Influence, and Accelerated Transformational Change!